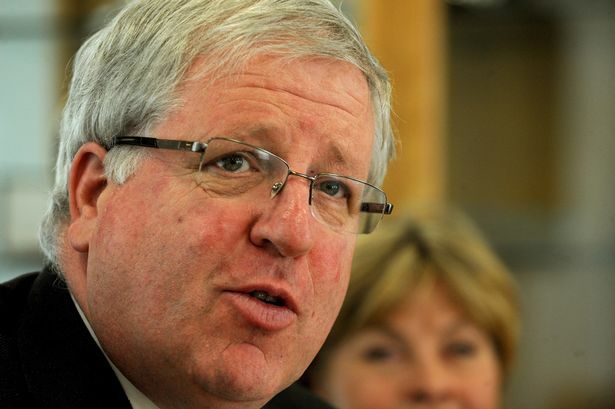 Transport Secretary Patrick McLoughlin has urged West Midlands councils to draw up ambitious plans for continuing to improve the region&apos;s transport network. And he praised local authorities for ensuring that shire counties as well as urban areas such as Birmingham and the Black Country were represented. Mr McLoughlin was speaking following the publication last year of proposals by councils in the north of England for £15 billion in transport improvements, including a 125mph rail link across the Pennines and improved access to Manchester Airport. The plans, in a paper titled One North, were drawn up jointly by Manchester, Liverpool, Leeds, Newcastle and Sheffield and have been accepted in principle by Chancellor George Osborne. Giving evidence to the Commons Transport Committee, Mr McLoughlin said the Government would consider similar proposals from other parts of the country but stressed the importance of local councils working together. And he highlighted the West Midlands as a region which was well organised. Mr McLoughlin said: "There are ways in which local authorities combining are making stronger cases for rail investment in their own areas." He added: "Last Monday afternoon, I met with authority leaders from the West Midlands to discuss certain improvements as far as the West Midlands is concerned." The Transport Secretary said he had warned urban councils not to exclude rural areas. "It was interesting that in the West Midlands it wasn&apos;t just the metropolitan areas that were there but it was also the shire counties - Worcestershire, Shropshire and Staffordshire were there. "Because I think there can sometimes be a concern it is just the urban areas that are pushing their interests and everyone else will suffer. "I don&apos;t think it is the case but it is one of the things, while looking at the whole issue of rail devolution, we&apos;ve got to be assured they are looking at the interests of the whole area and not just the big cities." A new West Midlands Integrated Passenger Transport Authority was formally launched last year to ensure the metropolitan area acted in a unified way on transport and could punch its collective weight when seeking funding for rail, tram and road schemes. Mr Osborne has said he is more willing to devolve authority and funding over transport, along with other major policy areas, to regions which agree to create directly elected metro mayors responsible for combined authorities which include a number of councils. But Birmingham residents rejected a directly elected city mayor in a referendum in 2012. Mr Osborne blamed this result on his Liberal Democrat coalition partners, claiming they blocked his attempts to create mayors which oversaw more than one council.